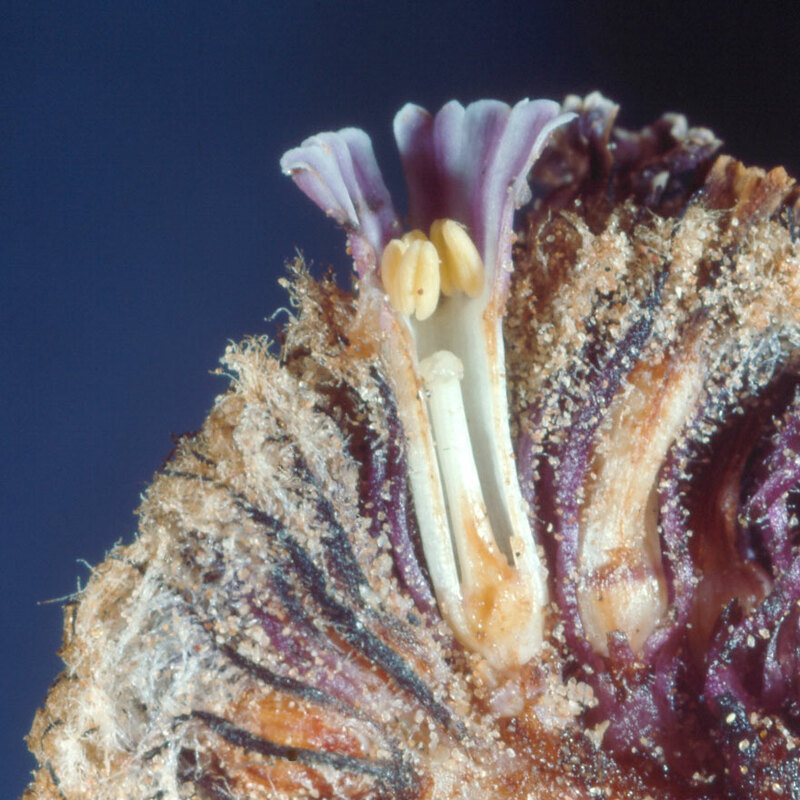 A longitudinal section of an open flower, with some other flowers nearby. The tissues of Pholisma sonorae are white, but they turn brown with age or soon after being cut. This photograph shows the tubular nature of the Pholisma sonorae flower. The purple sepals are slender, and are covered with large numbers of hairs.